Social Media Map 2013 – Quid est veritas? 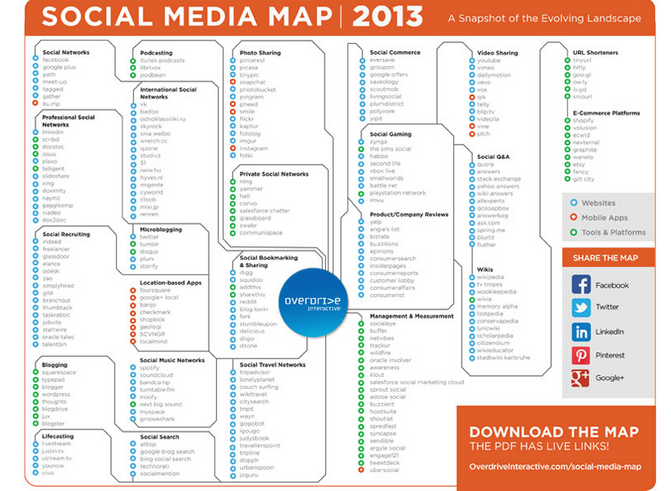 Here is Overdrive Interactive’s Social Media Map 2013. “Interactive” means that the file you download is a PDF with links to each of the Social Media listed. Post Precedente: Salviamo la Costituzione, cambiandola.